Los Angeles County is a learning organization. Our employee development programs aim to elevate understanding, awaken innovation, and build employees’ capacity for career success. 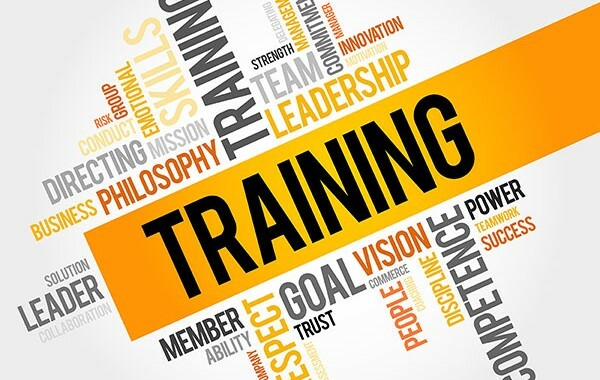 Our development programs and plans can be customized to utilize one or a blend of these delivery approaches to provide optimal learning experiences for individual employees or employee groups. We understand that learning is not one-size-fits-all. Our development programs use a variety of learning delivery approaches to help employees obtain the knowledge, skills, and abilities needed to achieve their immediate and long-term career goals. By having multiple learning approaches to choose from, an employee can design a curated learning action plan that takes into account the employee’s specific development need, preferred learning style, workload, and availability. Learning designed specifically for County careers. The size and operational diversity of LA County affords our employees the opportunity to make flexible career choices under the umbrella of one employer organization. Whether choosing to climb a single, defined job ladder or explore entirely different jobs at the same level, County employees typically build deep and often intricate career portfolios. Tying these diverse pathways together is a development framework structured to identify specific competencies for each job and/or job category. These competencies serve as a roadmap to help employees develop themselves for excellence in their current roles and ready themselves for the next job they seek. We develop employees for careers. The strength of our development programs is one contributing factor to LA County’s industry-leading high retention rates, number of promotions, and average employee tenure. These development programs and efforts have, in many cases, enabled employees to progress from entry-level to executive-level positions. LA County's learning and development programs encompass a variety of offerings. The Executive Leadership Development Program (ELDP) is designed to enhance the leadership competence of mid-to-senior level managers who aspire to executive leadership positions. The County is pleased to partner with USC, Sol Price School of Public policy to provide this innovative program. The highly-accomplished faculty bring a wealth of practical and executive development experience to County managers. The ELDP is a 13-week program comprised of 12 in-class sessions, web-based activities and assignments, and individualized coaching sessions. The ELDP is designed to build 10 competencies through assessments, lectures, class assignments, and a team-based project (action learning). It includes completion of a 360-degree assessment of County leadership competencies, creation of an individual development plan, and participation in a group project that addresses actual County needs. After graduation, participants continue the learning engagement and connection through membership in an alumni community of collaborative learners including hosted learning events with guest speakers.